Galveston bass guitar | Gear Acquisition Syndrome!! 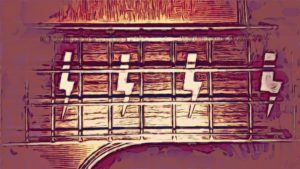 My Galveston Bass Guitar – Full-Bodied Pleasure As The Rumbles Roll! Ever found one o’ THESE?? 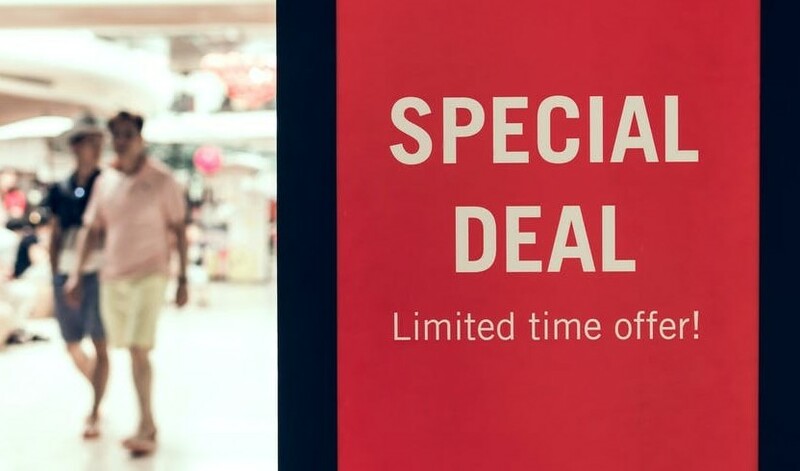 Everyone who’s ever suffered from Gear Acquisition Syndrome usually has a story or two about a “miraculous find” or “total steal of a deal” that they managed to snag somewhere, and how it raised their music to a new level. 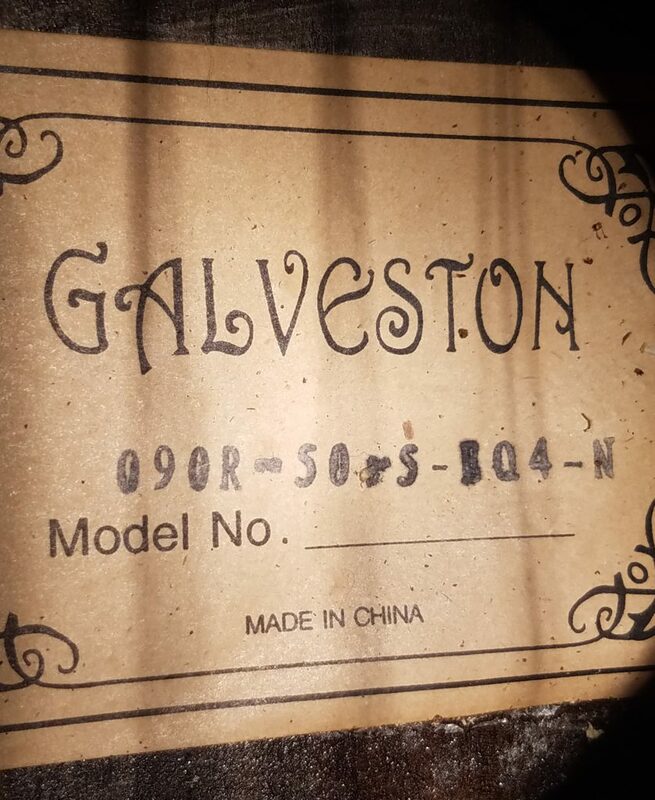 Today I get to tell you about such a moment for me, and how a serendipitous glance at Craigslist on a holiday got me my Galveston Bass Guitar. I was looking for a Telecaster guitar. That’s how it all began. I’d never had one, and I’d wanted one for decades. So one Labor Day (when everyone else seemed to be on vacation but me!) 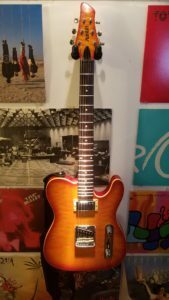 I thought I’d drop onto Craigslist, as I do every week or so, and see if any good Teles were being offered. Lo and behold, I found one. And it looked in great shape. It wasn’t a true Fender Tele, but I didn’t care as long as it sounded like one. Interestingly, the owner had also listed in the same ad a bunch of other gear, and basically said “$200 OBO gets it all”. Now, we all know that spending a lot on a quality instrument has its benefits. I’ve done it quite a few times and have some very expensive instruments and outboard gear in my studio. So, long story short, by the end of the day I was the proud owner of all of that. 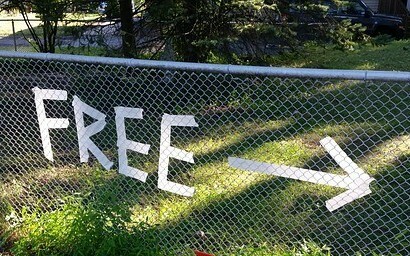 It was like I had bought a Tele guitar for peanuts, and got a bunch of other gear thrown in for FREE! Now that’s what I call every G.A.S.-ers dream!! I figured I’d sell most of the package off, but… I ended up keeping all of it. Know why? ‘Cause they all were in perfect condition and sounded good! Why wouldn’t you keep that?!! The Tele (which I reviewed HERE if you’re interested) is VERY high quality sound. I love playin’ that thing. But my other fond favorite among the bunch? 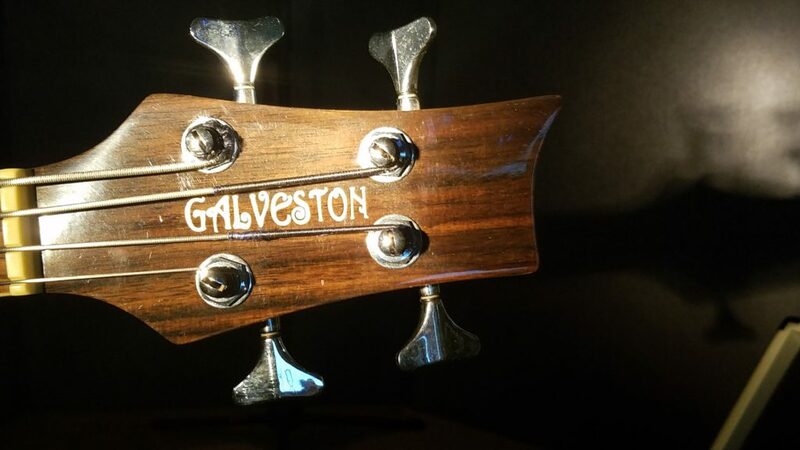 You guessed it – this Galveston acoustic-electric bass guitar. What once was considered “a throw-in”, I now wouldn’t part with except for maybe $500 or higher. Was it sold for that much? No. Is it worth at least that to me?? I’ve read online that in the 2000s the Galvestons were made in China, but these days are now a brand assembled in Korea. Other than that, I can find no corroboration, except for the inside label which shows it did originate somewhere in China. One thing I’ve noticed in this recent decade is the much higher level of quality and acceptance of Chinese products here in the U.S. Yes, we all know that “Chinese knock-offs” used to be a joke to stay away from. That is definitely not the case anymore, and plenty of corporations in the world’s largest-populated country are out to prove it. If anyone reading this ever finds the company who actually makes these… tell me, please. I’d like to call and thank ’em, ‘cuz this bass… is great. I have to hand it to the previous owner too: everything that I picked up that holiday was in perfect condition. The owner said it all belonged to her dad when he still lived in Michigan and liked to play out occasionally. I cannot find a scuff, scrape, cut, ding… or any evidence of any kind that this isn’t new. Wow. How often does that happen when you buy something used?! I really like the size of this bass. It’s not quite short-scale, which is 30″ or below, but it is just shy of that, ducking under the standard bass scale (34″) by quite a bit. For that reason this is a good choice for those of you who prefer a smaller-sized bass. The shorter neck and more compact dimensions will have you smiling and not reaching so far as a standard-sized bass will demand of you. Also, if you’re a player who needs a few years to “grow into your instrument”, this would be a good halfway point between a normal bass and a “kids version”. In a nutshell, if the Fender P-bass size has always been too challenging to play for you, you’ll notice a big and delightful difference in how this one feels. 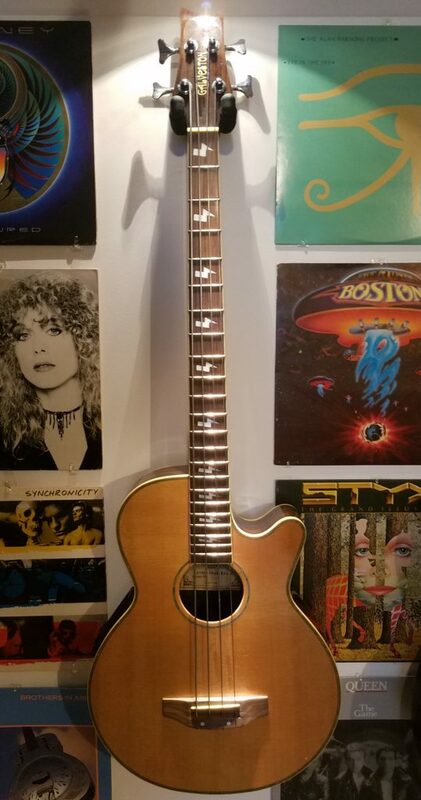 Also, if you’ve played some other acoustic-electric basses and found the BODY was too big for you, I think you’ll find that not a problem with this product. The body does NOT seem overly big to me. In fact, one of my GUITAR bodies is bigger! The neck is not wide, but it’s a bit thicker than my other basses by, say, 3 millimeters or so. If you have small hands that might be a detrimental issue. For me it’s easy to adjust after a minute or so and I don’t think about it anymore, so it can’t be that thick. 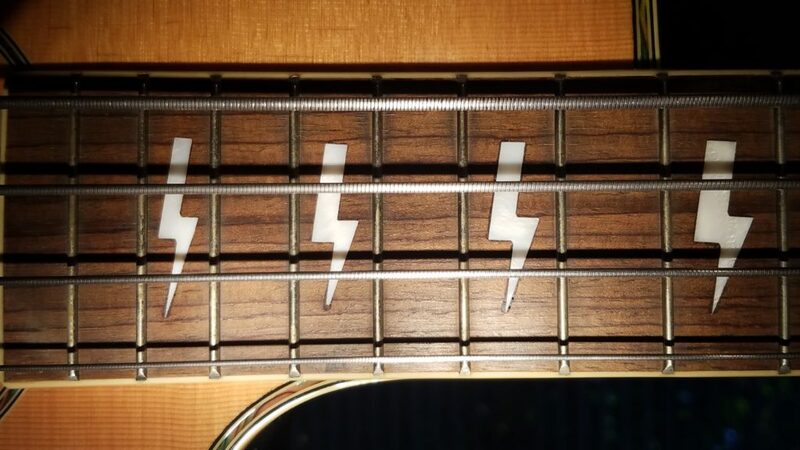 Oh, and yes… the lightning bolts are actually pretty sweet, instead of the usual boring dots! The electronics on this Galveston are quite, quite usable! There’s no buzz or crackle in them at all, which is pretty rare for something this old. The Presence slider is a very interesting beast on this instrument. To my ears, what it does MOST… is makes the transients of every note very pronounced. I’m thinking that might be a really cool sound in the context of an acoustic band, like those in Bluegrass, Folk or Americana styles. For Pop/Rock or Ballads though, I just dial out the Presence completely most of the time. That gets rid of the beginning pick of the note, my fingernail noise, the sound of sliding along the strings, etc. What I end up with is a nice, full, beefy and less metallic sound than I get with my other electric basses. This electronics unit is versatile, usable and provides a wide palette of tonal color for you to choose from for your timbre approach. No one-trick pony here – if you’re plugged in with this bass, you’ve got a lot of sounds to choose from! If you have the volume knob all the way up when you are playing pretty hard, certain notes on the bass come out distorted. 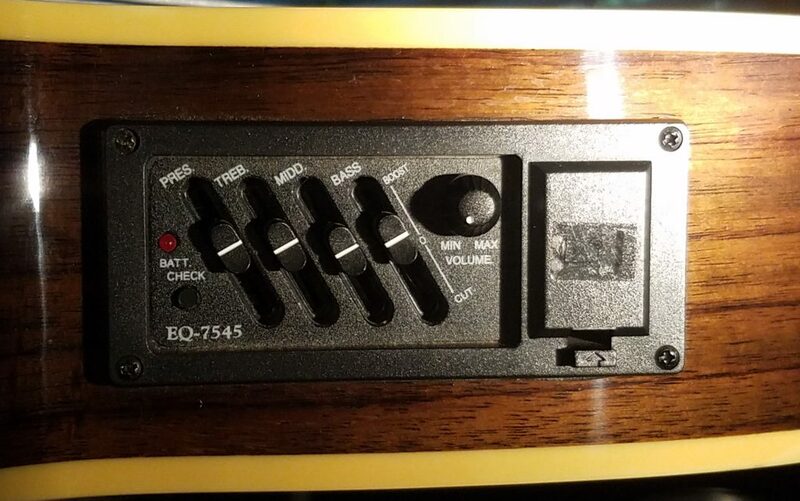 There’s an easy fix, however: just keep the volume knob at about 75%. If you do this, all the notes are clear and clean no matter how much you hammer ’em. Doing this does not, however, noticeably add any noise to the signal, so fear not the clear-tone Reaper. The only other really small issue is that when I plug my cable into the jack at the end of the body, I can feel it catch, but it doesn’t feel like it’s clicking into place as solidly as plugs do in other jacks. It hasn’t fallen out or anything, but when I play it live I always loop the cable through my strap, just in case. 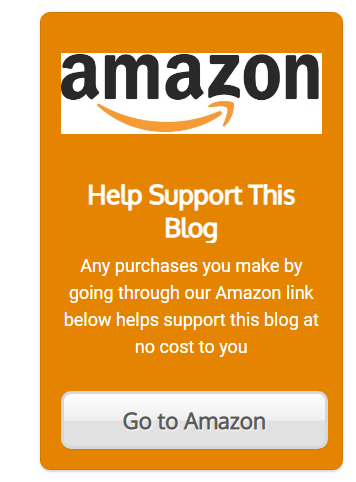 It just feels like it’s not clicking in as well as usual. Again, it hasn’t ever fallen out, and if you hold the instrument straight up with a cable in, it doesn’t fall out, but… I dunno. It’s just a feel thing to me. Hard to believe that’s all I could find, but it’s true. Everything else works like a charm. I will say that this acoustic instrument, as with any acoustic instrument, is much more unforgiving of bad technique. I’ve played for enough decades to have a good handle on muting the strings I’m not playing. Let’s Put Her to Work! First off, it’s wonderful to just be able to pick up and play something without having to plug anything in. Love it, love it, love it. It’s action is a little higher than my other basses, so it is actually giving my fingers a better workout too, which counts for something. 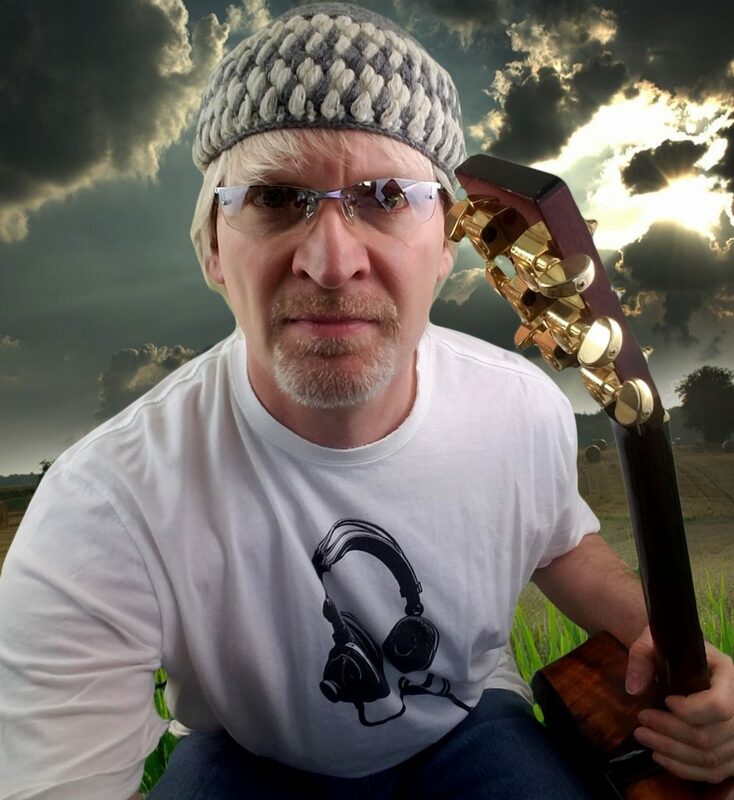 If I’m going to play live at all without drums, say, with one or two other acoustic instruments like violin, or cello, or acoustic guitar, or acoustic piano, then I almost always go for the Galveston. It’s perfect for that scenario. If we’re playing to more than around 30 people, I’ll plug it in and put it through some type of mild amplification. If I’m playing with ONLY one other guitarist though, I’ll just stay open-air and it holds its own very well. Especially if you put new strings on it. Wow, does that puppy carry well then! Finally, I like using it in the studio for songs that just need a more down-home approach. It’s much more woody and resonant, full-bodied… more like a human bass singer creating the notes. That’s the interaction with the hollow body coming through. Because of that though, you do have to watch that you don’t play facing your cabinet to close or you WILL get feedback at higher volumes. You can, as always, just put a feedback eliminator puck in the sound hole. I’ve yet to do that ‘cuz the need isn’t that great for my uses, but if I were going to play live, through a P.A., with a full band most of the time, I’d definitely invest in one. 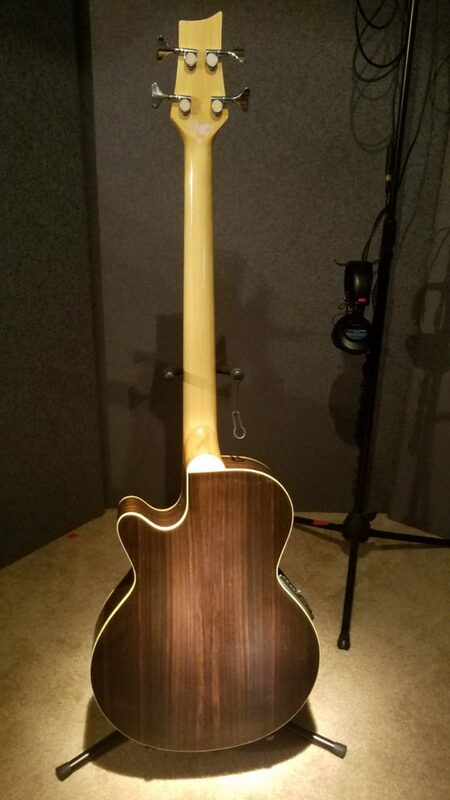 My other basses can’t begin to give me the more earthy voice that this Galveston gives me. That’s probably its biggest asset. And in the final analysis, just like a painter, the more colors we have to choose from, the more interesting and fascinatingly fresh our music will be. I am SOOOOO glad to have this bass. 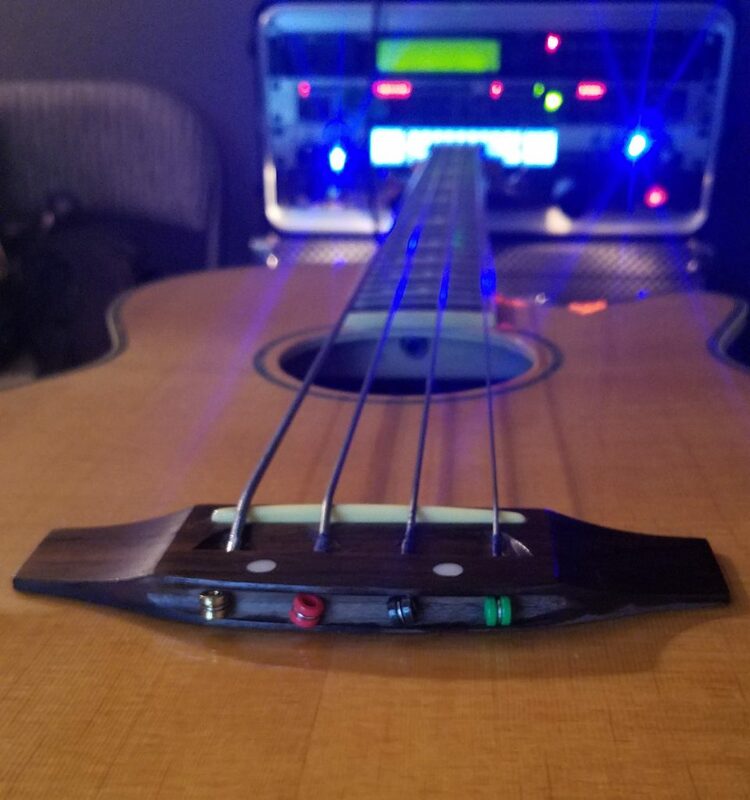 It gives me a totally different sound than any of my other only electric basses; I can practice quietly and acoustically; the whole instrument is in like-new condition… What’s not to like?? For the money, this gets 4.5 STARS! It would be 5, except for that one niggling issue of intermittent distortion of certain notes at full volume which, as I mentioned, is easily fixed by moving the knob down a skosh. If you happen to come across one of these used (I don’t find ’em new anywhere), take my advice and grab it. At the very least, it’ll be an inexpensive way to get people noticing you, ‘cuz with this bass… I always get the “what is that?” train of comments. And at the most?? You’ll have a quality instrument that really sounds good in a live OR studio session mix. Now, go… make… (low) sounds! !